Last March, two vessels visited Auckland as part of the Mālama Honua Worldwide Voyage. The waka landed at Pt England on the Tāmaki River, and were greeted by 2500 students from Manaiakalani schools. A half-hour documentary produced by ʻŌiwi TV about the visit and the story of Manaiakalani was released yesterday. 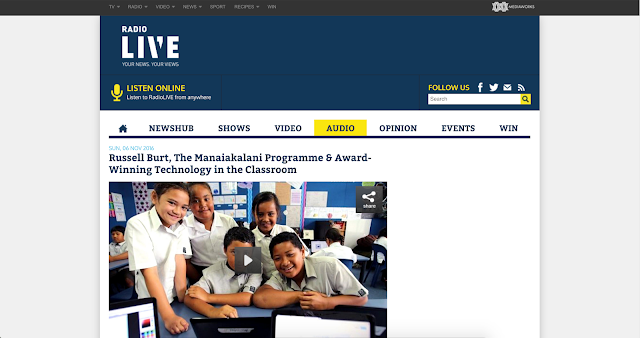 Russell Burt (Manaiakalani Convenor & Principal of Pt England School) recently spoke to RadioLive's Vaughn Davis about Manaiakalani and the recent win of a pair of New Zealand Innovation Awards. 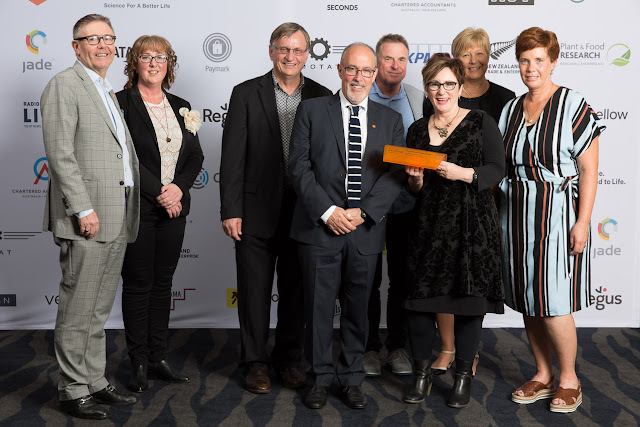 The Manaiakalani Education Programme was announced as the winner in two categories of the New Zealand Innovation Awards 2016 on Thursday October 20th at SKY City Convention Centre. Overall there were 21 winners, 19 highly commended awards across 11 industry categories and 10 business disciplines. 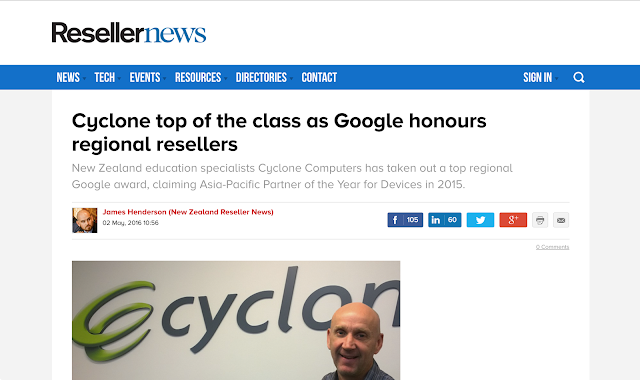 Fusion Networks is a specialist technology integrator and Manaiakalani partner, who manage the technology in over 40 of the Manaiakalani Schools. Fusion Networks' October newsletter talks about the Manaiakalani programme and the work that Fusion does in support of the programme both in Auckland for the Manaiakalani Cluster and for clusters in the Manaiakalani Outreach programme. 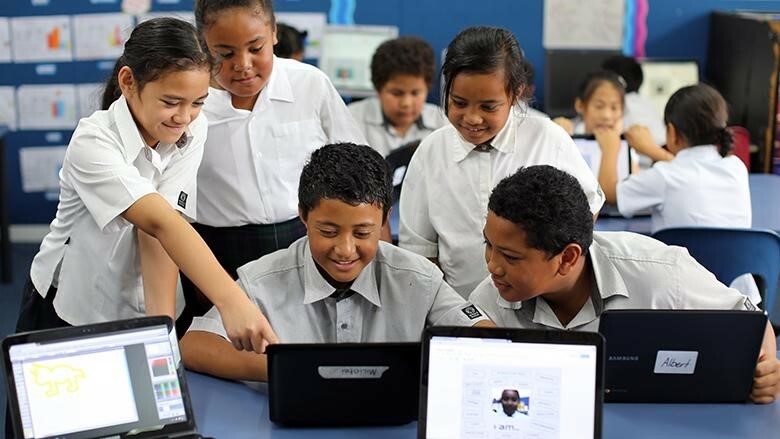 Fusion has recently put up a case study on their website which looks at how schools on the West Coast are embracing digital learning with support from Manaiakalani and Fusion Networks. A recent article in the American magazine EdSurge was written by Manaiakalani's Executive Chair, Pat Snedden. 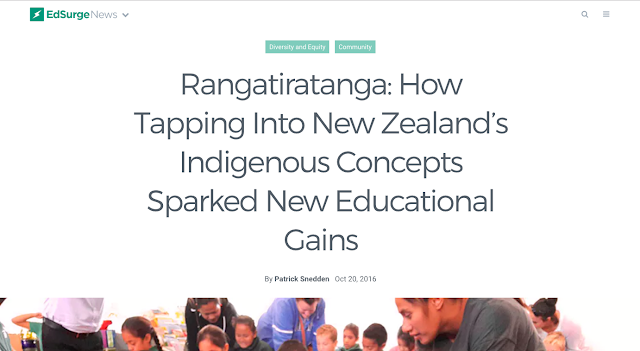 The piece explores the success of the Manaiakalani programme and how it was initially sparked by tapping into Maori concepts and using them to shape the education process. Nanogirl (Dr. Michelle Dickinson) is a science & technology columnist for the New Zealand Herald. In a recent article Dickinson talks about the changing state of education as the world becomes increasingly digital and the challenges this brings for children who lack access to the internet and other digital technologies. 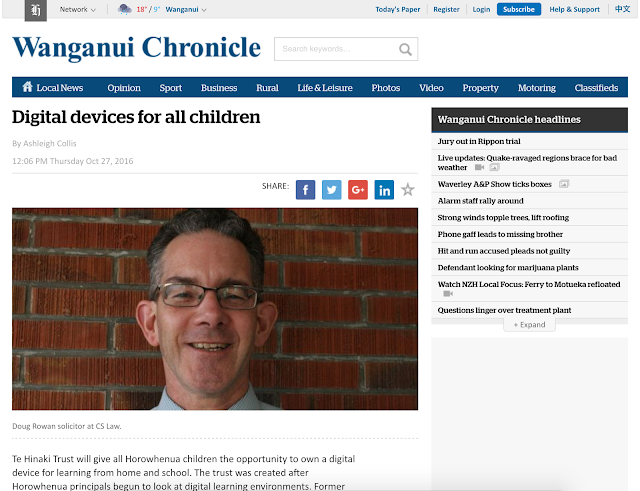 Manaiakalani is featured in the article as an example of an initiative that aims to help children in New Zealand by bridging the digital divide. 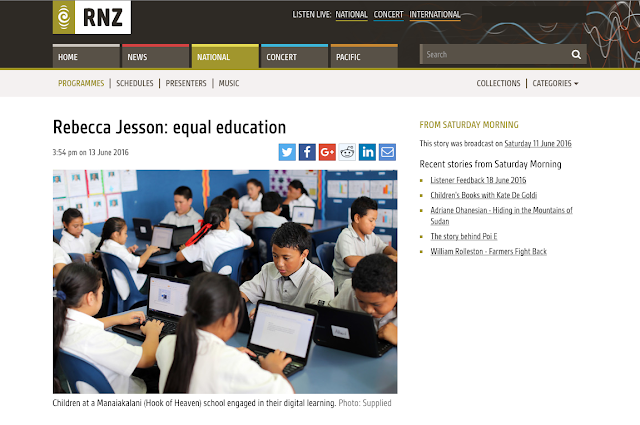 Dr Rebecca Jesson is a senior lecturer in the School of Curriculum and Pedagogy in the Faculty of Education and Social Work at the University of Auckland. 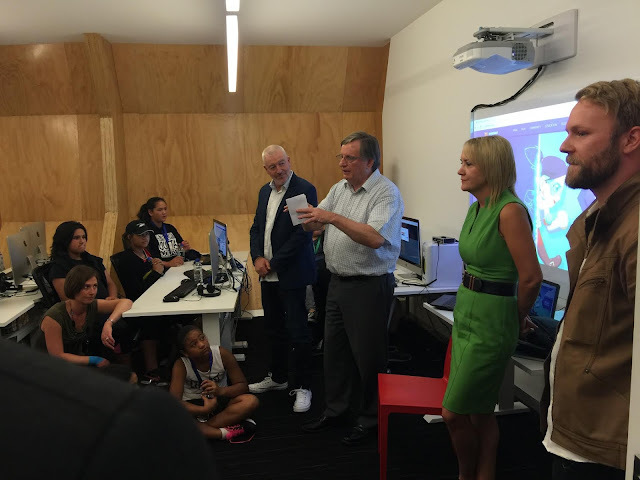 As part of a recent Radio New Zealand interview, Dr Jesson talked about research that she and her team at the University of Auckland's Woolf Fisher Research Centre have been conducting into Manaiakalani's digital teaching and learning programmes. The February newsletter sent out by Spark to all subscribers across New Zealand featured an update on their support of the Manaiakalani Programme. As well as mentioning our local schools it goes on to explain that Spark has increased support to include the five Manaiakalani Outreach Clusters around New Zealand. A recent article for Scoop talks about the Summer Code Camp that 30 students from the Manaiakalani cluster were a part of. Funded by the Innovation Partnership and N4L (Network for Learning), the Summer Code Camp taught kids how to code through the process of making their own computer games.